Fibromyalgia is a syndrome, or a collection of signs and symptoms that happen together but without a specific cause. While there is no known cause of the syndrome, scientists believe that it is brought on by a combination of factors, including genetics, infections, physical and emotional trauma, and differences in the make-up of the brain. Patients affected by the syndrome have long-term pain throughout the body as well as tender joints, muscles, tendons, and other tissues. Fibromyalgia patients also can experience fatigue, sleep problems, memory issues, and mood problems. The widespread pain of fibromyalgia can be a heavy strain on the body and mind of patients. Luckily, there are many ways to fight it. Fibromyalgia is one of the most common chronic pain disorders, with about 10 million Americans suffering from the syndrome. Even though it most common in women (75 to 90 percent of fibromyalgia patients are women), men and children from all ethnic groups are affected. The economic costs of fibromyalgia are high. The overall costs in the United States are estimated to be between $12 and $14 billion each year. Fibromyalgia may be responsible for a one to two percent loss in productivity. In other words, people cannot work when the pain is too much. Fibromyalgia causes widespread pain, meaning it occurs from head to toe and on both sides of the body. Generally, patients say the pain is dull and constant, but it can also be a more severe, shooting pain. The syndrome is characterized by painful areas called tender points. The pain can get worse when pressure is put on these areas. Sometimes, the pain can be a deep ache. At other times, it can be a shooting or burning pain. Unlike other chronic pain conditions like arthritis, fibromyalgia does not affect the joints. However, many patients might feel like the pain is coming from the joints. In addition to the pain, fibromyalgia patients are faced with other problems, including trouble sleeping, fatigue, and emotional issues. Even if they have slept for many hours, patients often say they wake up feeling tired. It is not uncommon for a patient to be awaken by pain. Other sleep disorders - such as restless legs syndrome and sleep apnea - can make the symptoms of fibromyalgia even worse. Having any chronic pain condition can take a toll on people's mental well-being. Fibromyalgia is no different. Depression and anxiety are common conditions that accompany the syndrome. Patients can also have memory and concentration problems, tension headaches, and migraine headaches. Irritable bowel syndrome - a disorder that causes pain, cramping, and changes to bowel movements - frequently affects fibromyalgia patients. For some patients, these symptoms can get worse for periods of a few weeks or a month. In other cases, patients feel symptoms most of the time. There are two main criteria for diagnosing fibromyalgia. First, a person must have widespread pain that has lasted for at least three months. Second, a person must have a minimum of 11 tender points out of 18 possible locations. Doctors may also run blood tests to diagnose patients. These blood tests are not meant to show if a person has fibromyalgia. Rather, they are used to rule out other similar diseases. Fibromyalgia is a complex syndrome. As such, doctors and scientists do not know the exact causes. However, they have an idea of what may be contributing to the painful condition. Research has shown that a combination of factors may be involved in the development of fibromyalgia. These factors include genetics, infections, physical or emotional trauma, and abnormal responses to pain in the brain. Fibromyalgia often runs in families, which suggests that certain genetic mutations may put people at risk for the disorder. In many patients, the disorder is triggered by some sort of illness, infection, or injury. It may be that newly diagnosed fibromyalgia patients already had a genetic vulnerability and an illness or injury led to the development of the disorder. 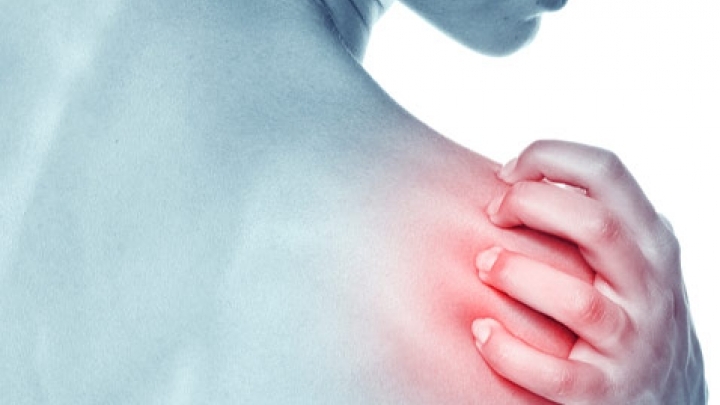 Some research has suggested that viral infections may trigger fibromyalgia. However, no specific virus has been pinpointed as the culprit. More than half of fibromyalgia patients say their symptoms started after some sort of trauma. According to a study by Mark Pellegrino, M.D., of Ohio Pain and Rehab Specialists and author of Inside Fibromyalgia, 65 percent of 2,000 patients developed symptoms after a traumatic event. Automobile accidents and work injuries were the most common. While Dr. Pellegrino and other researchers have some ideas about how trauma is involved in fibromyalgia, there still is no definite scientific explanation. Post-traumatic stress disorder - a type of anxiety disorder that happens after a traumatic injury or life-threatening event - also has been linked to fibromyalgia. More recent research has shown that fibromyalgia may be triggered by defects in the central nervous system (brain and spine). In other words, fibromyalgia patients may have a problem in their brain that makes them more sensitive to pain. These defects may arise because of changes in the levels of certain chemicals in the brain. What are the treatment options for fibromyalgia patients? As there is no cure for fibromyalgia, the main goal of treatment is to reduce pain and other symptoms. While there are quite a few medications, the frontline of attack is lifestyle changes. Patients need to realize that many of their symptoms may be related to stress, sleep problems, lack of exercise, and poor nutrition. Relieving physical and emotional stress may be as simple as giving yourself time to relax each day. If that is not enough, relaxation techniques such as meditation, light massage, and breathing exercises may also help. Fatigue is one of the most common problems for fibromyalgia patients. Getting a good night's sleep is essential to avoiding fatigue. Patients should give themselves enough time to sleep every night. Good sleep habits also involve going to bed and waking up at the same time each day. Exercising regularly is good for most chronic pain conditions, fibromyalgia included. It may seem like exercise makes your pain worse at first. But working gradually and with the help of a physical therapist can relieve symptoms. Good exercises may include walking, biking, and swimming. It can also help to stretch and practice good posture. There are many other therapies that may be helpful to some patients when combined with tradition lifestyle and drug treatments. These may include acupressure, acupuncture, yoga, aromatherapy, cognitive therapy, biofeedback, and chiropractic treatment. If lifestyle changes are not enough, doctors may prescribe certain medications to fibromyalgia patients. For the most part, the drugs are used to relieve pain and fatigue. Analgesics - or painkillers - like Tylenol (acetaminophen), Ultram (tramadol), Advil or Motrin (ibuprofen), or Aleve (naproxen sodium). Tylenol can reduce pain and stiffness, but it does not work for every patient. Antidepressants such as Cymbalta (duloxetine) and Savella (milnacipran). These two drugs ease some of the pain and fatigue caused by fibromyalgia. In order to help patients sleep, doctors may also prescribe Prozac (fluoxetine). Anti-seizure drugs like Neurontin (gabapentin) and Lyrica (pregabalin). Knowing what causes fibromyalgia will help researchers find more effective treatments for the disorder. With every new study, doctors and scientists discover a little more about the causes of fibromyalgia. However, much more research is needed to unravel the mysteries behind this painful syndrome. National Fibromyalgia Association, "About Fibromyalgia" National Institutes of Health, "Fibromyalgia" Mayo Clinic, "Fibromyalgia" CDC, "Fibromyalgia" American Chronic Pain Association, "Fibromyalgia" National Fibromyalgia Research Association, "Trauma"